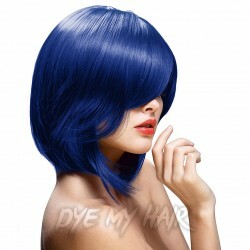 Navy Blue Hair Dye There are 18 products. Get a deep blue hair colour that everyone will love! Check out the La Riche Directions Semi-Permanent Hair Dye 4 Pack in Atlantic Blue! 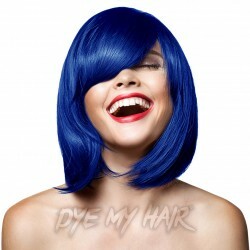 Upgrade your nightlife style with the La Riche Directions Semi-Permanent Hair Dye 4 Pack in Midnight Blue! 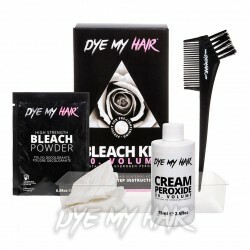 Give your look a totally colourful makeover with a bright blue hairstyle courtesy of this Manic Panic High Voltage Classic Cream Formula Hair Dye in Blue Moon. The sky's the limit with this bold and brilliant shade of Crazy Color Semi-Permanent Hair Dye in Sky Blue! Take your look to awesome new levels! Switching up your style has never been so easy. 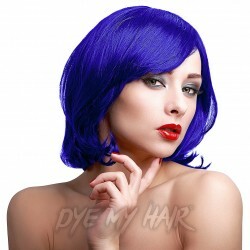 The Stargazer Semi-Permanent Hair Dye in Ultra Blue is certainly the real hair dye deal!